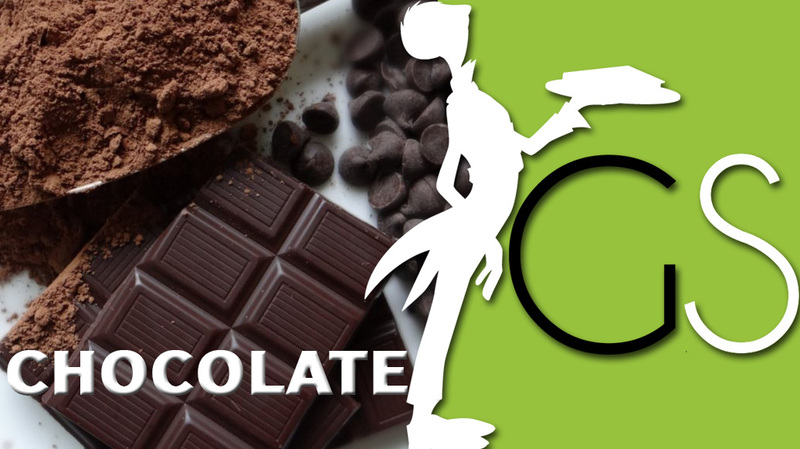 Then answer this question: Why do you think chocolate is often connected with romance? 2. The word chocolate comes from the Aztec language, and is the only Aztec word we use regularly in English. The Aztecs made a greasy, bitter drink called Xocoatl from cocoa beans mixed with cold water, spices and cornmeal. 4. The explorer Cortes was the first person to bring chocolate to Europe. He presented it to the Spanish Royal Court in Madrid and served it with herbs and pepper. Soon it became very fashionable to drink it mixed with sugar and vanilla, and drunk warm. 5. Coenrad van Houten, who was Dutch, was the first person to extract the cocoa butter from the cocoa bean in 1827. 6. In 1847, Joseph Fry, who lived in England, mixed the cocoa butter with other ingredients to make a solid chocolate bar. 7. Daniel Peter, who was a confectioner in Switzerland, invented milk chocolate in the 1870s. Henri Nestlé developed the process. 8. The cocoa tree originally comes from the Amazon rainforests. Brazil, West Africa and Ecuador now produce most of the 1.5 million-tonne world cocoa crop. 9. The Mexicans put chocolate in savoury dishes. They serve mole, which is a kind of chocolate sauce, with roast chicken. 10. It takes all the beans from one cocoa tree to make 500g of chocolate. 11. In Britain, people spend an average £1.50 a week on chocolate. Women, who buy more than two-thirds of the chocolate, eat less than 40 per cent. 12. An average British person eats between 8.5 – 9.5kg a year, except the Scots, who eat 30 per cent more. 13. Chocolate contains small amounts of the chemical phenyl ethylamine, which is also naturally present in the brain, and which gives us the same feeling as when we fall in love. 14. The world’s largest chocolate model was a 10m x 5m representation of the Olympic Centre in Barcelona. 15. In 1980, the Swiss police arrested a young couple because they were trying to sell chocolate secrets to foreign powers. They offered the recipes for 40 different chocolates to the Soviet and Chinese embassies.